Aluminium windows, doors and curtain walling offer strength, durability and are highly resistant to rust and corrosion. This is a premium, maintenance free product and is built to last – the life span of aluminium is measured in decades rather than years. Aluminium is environmentally friendly, highly sustainable and endlessly recyclable. The main benefit of the aluminium windows, doors and curtain walling is that they can be powder coated to a RAL colour of your choice. Alternatively you can choose a dual colour, offering one RAL colour externally and a different RAL colour internally. 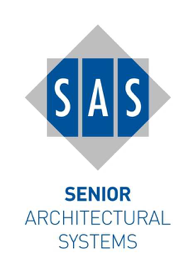 We offer Seniors Architectural Systems Hybrid doors, windows and curtain walling which combines the long life and low maintenance of aluminium externally, with the high insulation and environmentally focused benefits of responsibly sourced engineered timber internally. We offer a wide product range from the suppliers seen below. Natural Smoke and Heat Ventilators, NSHEVs, consist of two elements tested as one unit. They comprise an opening vent and a driving mechanism, normally a chain actuator or rack and pinion drive. What is BS EN 12101-2 British Standard? BS EN 12101-2 is the European product standard for NSHEV's. The standard defines test parameters and replaces BS 7346-1, the UK's previous standard. We supply this product in partnership with Dyer Environmental Controls Limited. Dyer's will guide you through the certification process to ensure your NSHEVs have the security of full CE accreditation. They are an independent supplier, so we can create the optimum solution for your needs. 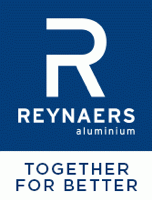 For this product we use the Reynaers' aluminium systems.